I look forward to autumn every single year. Maybe it’s the overwhelming heat of southern summers that brings daydreams of pleasant, breezy days and cool nights. And whether it’s 100 degrees or 70, the first day of autumn always brings relief and hope. Once that sign is hanging on my gate, I’m good to go. If it’s late going up, nothing seems right. There are some tools you probably have on hand that are perfect for the Autumn Equinox and the season that follows. Pumpkins are everywhere. Get a fresh one for your porch, your mantle, your altar, or your kitchen table. Big or small. Orange or white. Doesn’t matter. Pick the one that you will enjoy the most. Leaves are falling. The grand array of color in the leaves, when they are at their peak, is a beautiful reminder of the cycle of life. How majestic! As the Equinox arrives and autumn prevails, we enter the evening of the year. 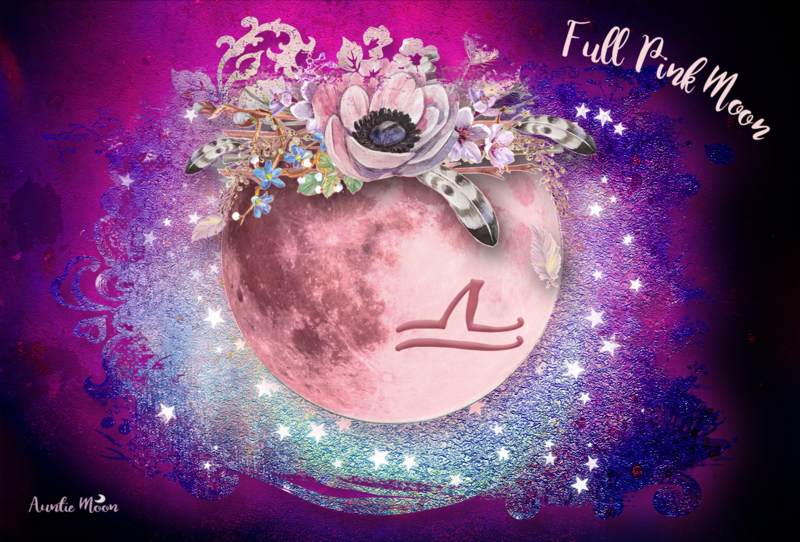 Just as Venus brings her bounty to bloom in Taurus, she shows us the magnificence of balance as she brings us the harvest of those blooms and the yin yang of light and dark. In the tarot, the Ace of Swords marks this day. This is cardinal air. Can you feel it? This is the sword of truth, of cutting away the unnecessary so that true balance can occur. Libra carries that sword, weighing absolutely everything to perfect measure. Is this something we can do this season? Can we look fairly at all the things in our lives and decide what is absolutely necessary and trim away the excess? Libra’s jewel is the opal. Legends say that the jewel represents hope, purity, and truth ~ much like Libra itself. The superstition that you can only wear an opal if it’s your birthstone is just that ~ a superstition. (BTW, it’s an alternative birthstone for people who were born 6:00-7:00pm.) If you own an opal, now’s the time to wear it. Without fear. Wear two shades of clothing ~ one light and one dark to represent the balance of night and day. Light two candles ~ one black and one white, or one light and one dark. Find a few colorful leaves to bring inside. 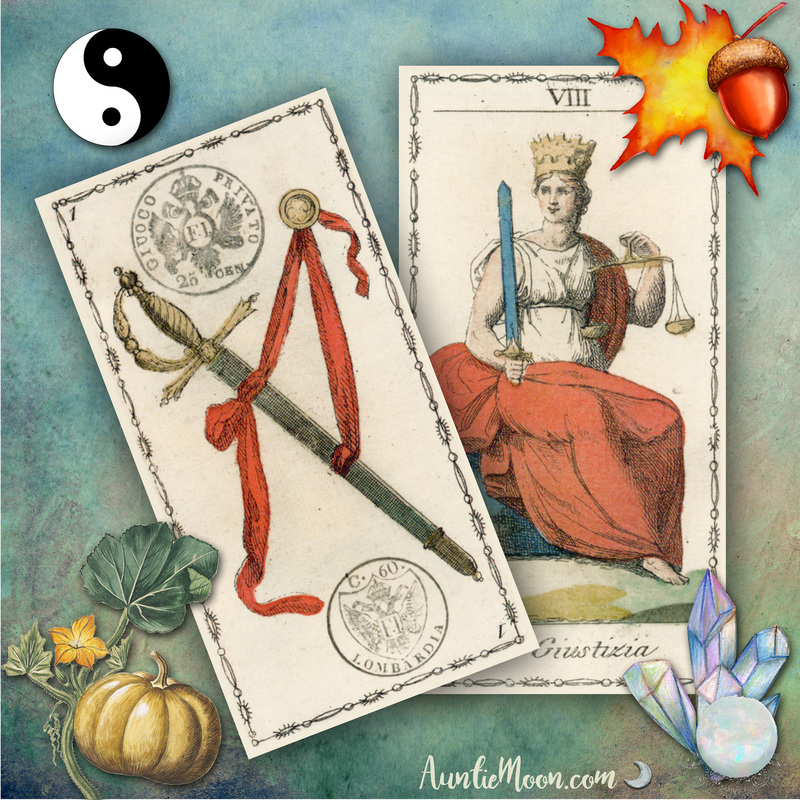 If you work with tarot, place the Ace of Swords and Justice in a prominent place for reflection and meditation. If you have a fireplace, build your first fire of the season. It might be 80 degrees tonight, but I swanee I’m building a small one in mine. 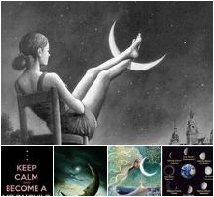 The moon is in gentle, empathy-driven Pisces at the Autumn Equinox. 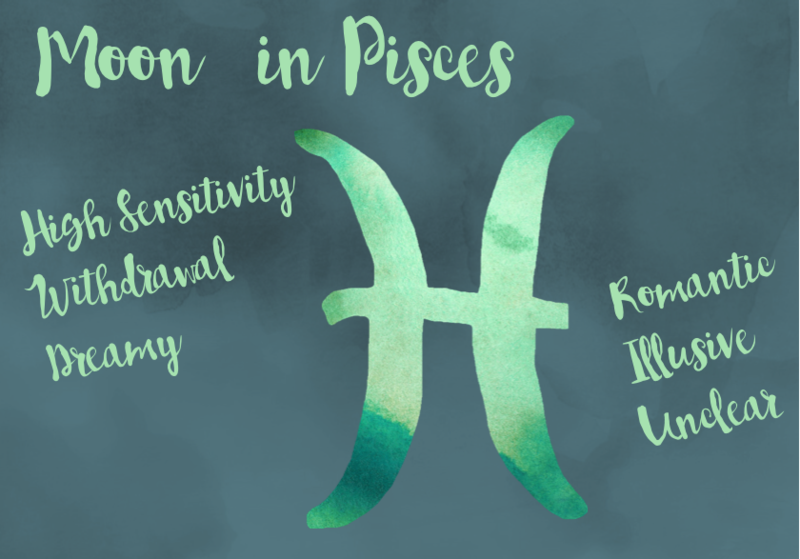 We have the loving, fair-minded drive of the Libra Sun and the intuitive and impressionable responsiveness of the Pisces moon to carry us through the season. Both signs are romantic and creative. This season brings the gift of a kinder spirit on it’s gentle breezes and an opportunity to create a peaceful approach to our relationships with our loved ones, the world at large, and ourselves. Happy Equinox, Daniel! What a treat to hear from you. Thanks for sharing your wonderful video.